When thinking about risk factors for heart disease, many don’t fully appreciate the role mitochondria. Research has shown that the lower the mitochondrial DNA copy number, an increased risk for cardiovascular disease. Mitochondria dysfunction is involved in the development of many cardiovascular diseases. Researchers have shown that mitochondria dysfunction in hypertension and heart failure. Mitochondrial dysfunction may be to blame for—or at least play a role in—the development of other cardiovascular diseases like atherosclerosis and cardiac hypertrophy. Mitochondrial dysfunction harms the heart with insufficient energy production and excessive amounts of ROS—leading to free radical damage further compromising performance and cellular health. Clustering the risk factors for heart disease, then you have what’s called metabolic syndrome. These risk factors include high blood pressure, high blood sugar, excess belly fat, high cholesterol, and high triglyceride levels. Mitochondrial dysfunction occurs either before or during the development of these risk factors. Dr. Chris D. Meletis is an educator, international author and lecturer. His personal mission is “Changing World’s Health One Person at a Time.” He believes that when people become educated about their body, that is the moment when change begins. He has authored over a dozen books and in excess of 200 national scientific articles in such journals and magazines as Natural Health, Alternative and Complementary Therapies, Townsend Letter for Doctors and Patients, Life Extension, Natural Pharmacy and the Journal of Restorative Medicine. Dr. Meletis served as Dean of Naturopathic Medicine and Chief Medical Officer for 7 years at NUNM, the oldest naturopathic medical school in North America. 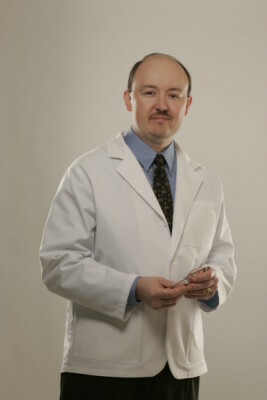 He has received numerous awards including, Physician of the Year by the American Association of Naturopathic Physicians; Excellence Award for his work in treating and advocating for the medically underserved; and most recently a NUNM Hall of Fall award at the State Association’s annual banquet. His passion for helping the underprivileged drove him to spearhead the creation of 16 free natural medicine healthcare clinics in the Portland metropolitan area of Oregon.